If you are found in illegal possession of prescription drugs in New Jersey, you distribute a prescription medication like Oxycontin without being a licensed physician or dentist, or even if you keep your pills outside the original bottle, you can be charged with a serious drug crime. New Jersey lawmakers enacted the Prescription Drug Statute, N.J.S.A. 2C:35-10.5, to address a host of offenses that may lead to prescription drug charges. In Essex County, New Jersey people are charged with prescription drug possession and distribution, as well as prescription fraud, theft of prescription drug pads, prescription forgery, and other related crimes on a regular basis. When facing prescription drug charges and the harsh penalties they entail, it is essential to have an experienced criminal defense lawyer fighting for the best possible outcome. At The Tormey Law Firm, our skilled criminal defense attorneys develop highly effective defense strategies for clients facing prescription drug charges. With a practice dedicated entirely to criminal defense, we have years of experience negotiating for minimized penalties and battling back tough prosecutors at trial. Our firm’s founder, Travis J. Tormey, has earned recognition from National Academy of Criminal Defense Attorneys as one of the Top 10 Criminal Defense Attorneys Under 40 In New Jersey. With offices in Newark, we regularly appear in courts throughout Essex County, NJ, including in Bloomfield, East Orange, Irvington, Montclair, and Belleville. If you have been charged with a prescription drug offense in Essex County, contact us anytime at 201-654-3464 for a free consultation. 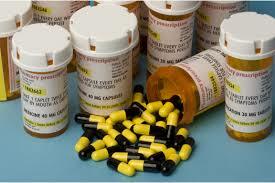 The New Jersey Prescription Drug Statute, found in section N.J.S.A. 2C:35-10.5, relates to all prescription medications, including Oxycontin, Roxycontin, Percocet, Xanax, Morphine, Adderall, Ritalin, Vicodin, Valium, and Suboxone. 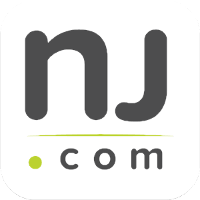 Essentially, State law says you cannot obtain, possess, or use a prescription drug in New Jersey without a valid prescription. It also prohibits any individual from distributing or dispensing prescription medications without a valid license and while operating under the state’s strict regulations. This applies to doctors, pharmacists, dentists, veterinarians, and other practitioners. With regard to prescription drug possession, if you are found in possession of a prescription drug in an amount of four or fewer units or doses (for example, 4 Xanax pills), you will face charges for a disorderly persons offense. A disorderly persons offense is similar to a misdemeanor and is punishable by up to 6 months in the county jail and a fine of up to $1,000. As far as distribution and intent to distribute, these prescription drug crimes are even more serious, becoming more severe as the number or units of pills increases. Specifically, if you are found distributing or possessing with intent to distribute a prescription drug in an amount of 4 or fewer units or doses, this is a fourth degree crime. A fourth degree crime is an indictable offense in New Jersey punishable by up to 18 months in NJ State Prison and a fine of up to $10,000. Third degree prescription drug charges involve distribution or intent to distribute between 5 and 100 units or pills. A third degree crime entails a sentencing range of 3 to 5 years in prison but there is a presumption of non-incarceration for first-time offenders. This means that you may be eligible for enrollment in a diversionary program like the Pretrial Intervention Program (PTI), whereby you can complete a period of probation to have your charges dismissed. The most egregious prescription drug charges are graded as second degree crimes. This level of prescription drug crime occurs in a scenario wherein the defendant is accused of selling or possessing with intent to sell 100 or more units or pills. If you are convicted of a second degree crime for prescription drug distribution, you face a fine of up to $300,000 and a prison sentence ranging from 5 to 10 years. Is it a Crime to Keep my Prescription Pills in a Different Bottle? In New Jersey, it is a criminal offense in violation of N.J.S.A. 2C:35-24 to take your prescription medication out of the bottle in which you received it and store it in a different container. In other words, when you obtain a prescription drug from a doctor or pharmacy, you must keep the pills in the original bottle. There is one exception to this rule that applies if you have fewer than 10 days worth of medication and you can provide police with the name and address of the prescribing physician or dispensing pharmacist. Otherwise, a violation of N.J.S.A. 2C:35-24 is considered a disorderly persons offense, which entails a maximum fine of $1,000, up to 6 months in county jail, and a conviction on your criminal record if you are found guilty. If you’ve been arrested for a prescription drug offense involving possession or distribution of prescription drugs in Essex County, New Jersey, contact an experienced attorney as soon as possible. The criminal defense lawyers at The Tormey Law Firm are here to discuss your specific prescription drug case and answer your questions. Simply call 201-654-3464 for a free consultation or schedule an appointment at our offices in Newark.